Here are simple, easy to get and easy to use recipes and procedures to help you completely eradicate cockroaches which are really irritating and also, wall geckos. 1.) 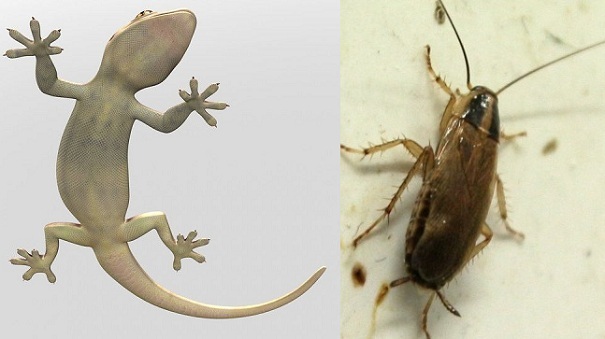 HOW TO EXPEL WALL GECKO. To expel this dangerous creature from your homes (Tsaka in Hausa , wall gecko in English , omo onile in Yoruba and awu uno in Igbo). Simply mix SALT and BLENDED GALIC and pour at all corners of the room , by God's grace it will leave your homes forever. ( 2) HOW TO GET RID OF COCKROACHES. Cockroaches are disgusting insects or better said pests that thrive in houses, particularly in dark and warm places. These pests carry dangerous diseases. Below is presented a natural mixture that is completely harmless for your family and pets, but is extremely efficient and will kill the cockroaches instantly. Preparation: first chop the onion and then add the baking soda. Place the resulted mixture in the corners of your house, in the kitchen and in the bathroom. Very soon you will notice dead cockroaches on these places. Repeat this process every day and you will get rid of these disgusting pests – forever! Can a cockroach hurt you? While they do not bite or sting they do feed and live in areas that harbor dangerous bacteria, such as bathrooms, drains, and dumpsters. The American cockroach (like other roaches) carries the bacteria on their body and can contaminate food as well as areas where food is prepared.